It appears that Santa has arrived early, and he looks like he has a couple of gifts for you! 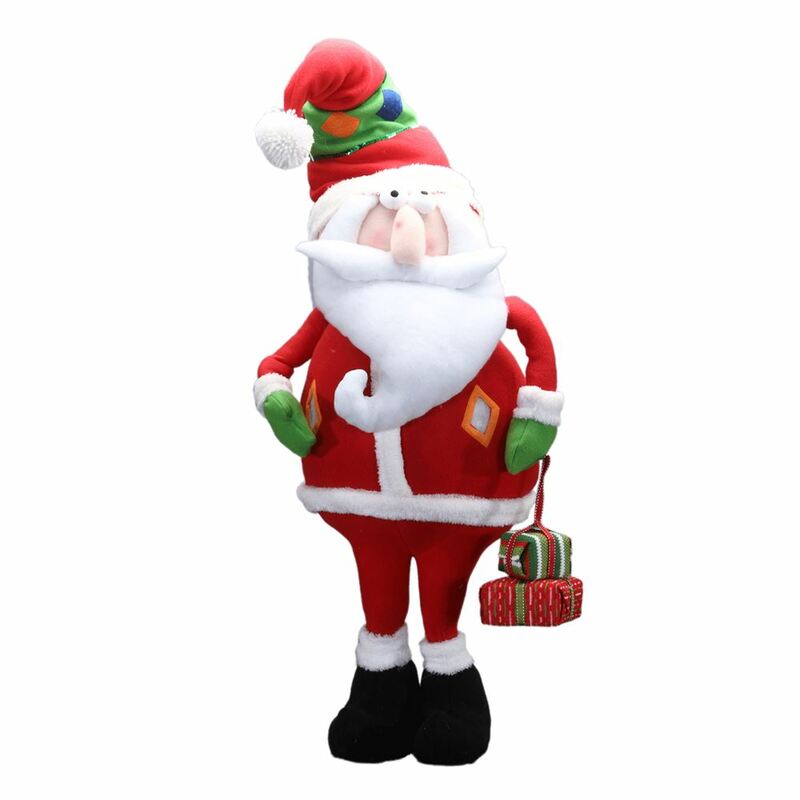 This Cartoon style Santa holding gifts will delight and intrigue family members, as well as those visiting your home this holiday. This funny fellow measures around 45cm wide by 85cm in height, and demonstrates the fun and folly of this special time of the year. 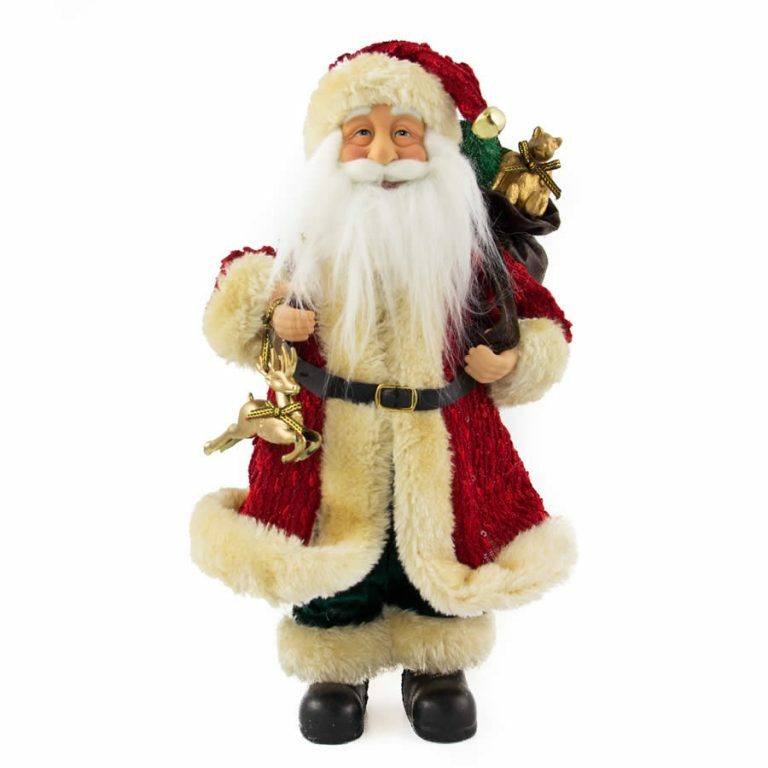 Santa is a great accent to use near your holiday tree, or even on the mantle! 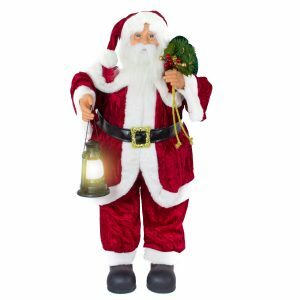 Position Santa near your door or in the office, for a tasteful accent that will charm and appeal to young and old alike. 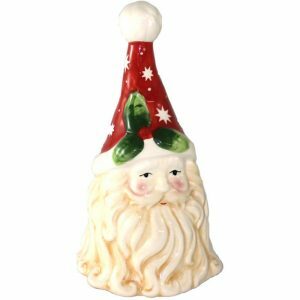 Santa is dressed in his holiday best with a few modern touches to his suit and cap that will bring colour and style to your home decor. He is soft enough to hug and sturdy enough to stand on his own. Give this to a loved one as an early holiday remembrance that will become a cherished Christmas keepsake over time.